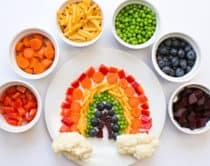 If you’ve got little ones, no-carve pumpkins are the way to go on Halloween. 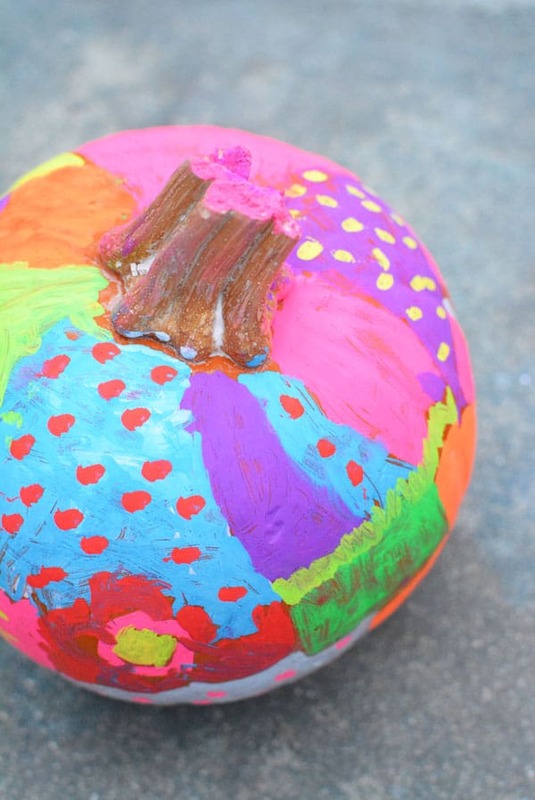 Why not combine pumpkin fun with a creative hands-on art project this year? 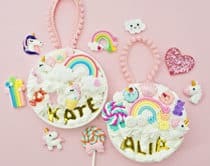 Get out your arts and crafts supplies to make googley-eyed glitter pumpkins, painted pumpkin canvases, mix and match monsters, and more with these colorful ideas that leave you with beautiful pumpkins to display afterwards. 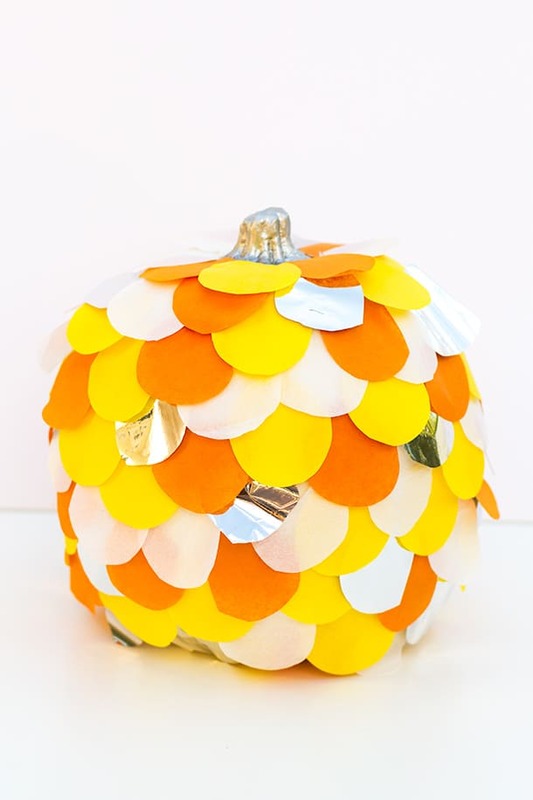 How pretty is this confetti pumpkin? 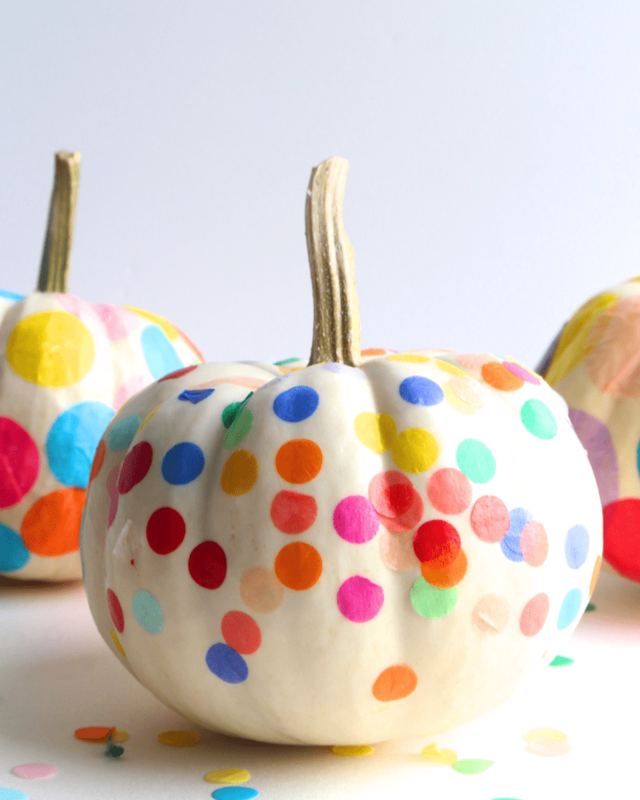 Kids will love dotting on colorful circles on white pumpkins to show them off. 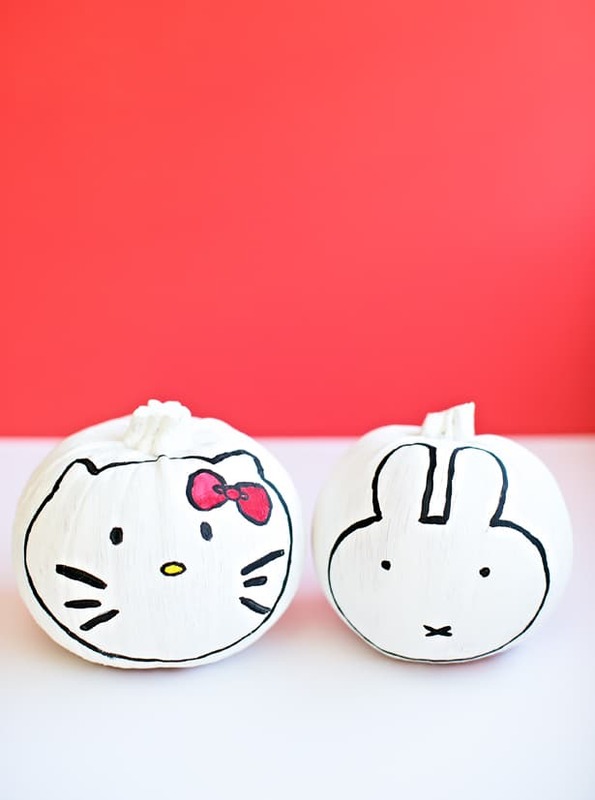 We took our kids’ favorite characters and turned them into these easy painted pumpkins. 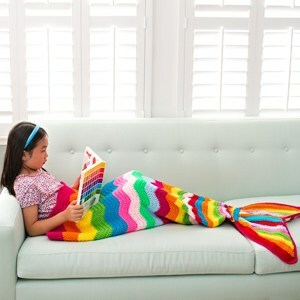 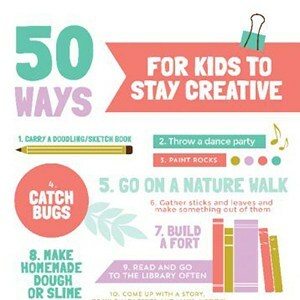 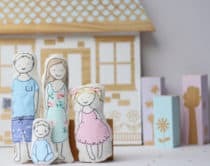 You can try doing this with other cute characters your kids love. 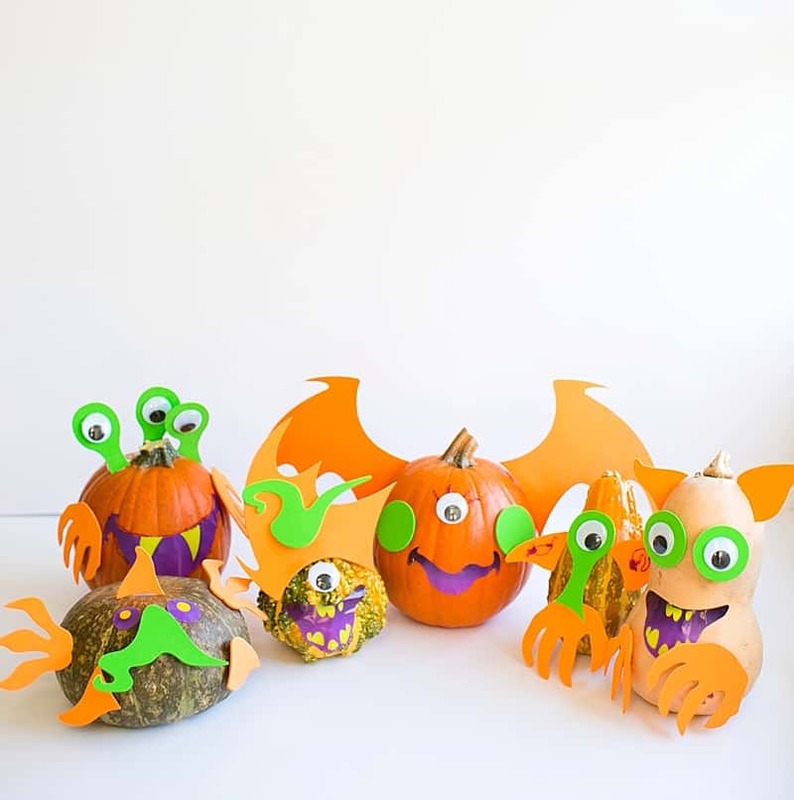 Bring nature indoors with these adorable nature inspired pumpkins kids. 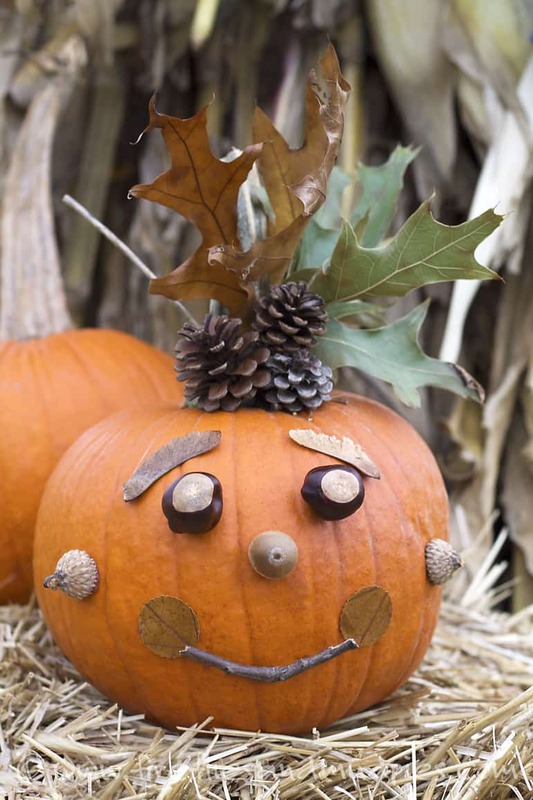 So many endless possibilities to turn your outdoor treasures into cute pumpkin faces. 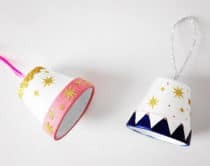 We’ve tried marbling paper with nail polish so of course like this Halloween inspired DIY which is perfect for little hands to decorate their own swirly painted pumpkins. 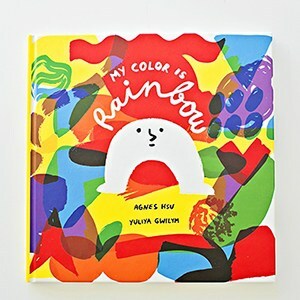 Yep you read that right, find out how to achieve these gorgeous colors without using paints! 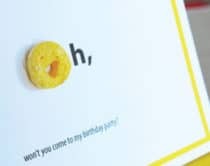 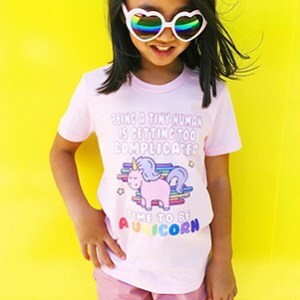 This is a fun one for little kids but, really who can resist sparkly sequins and googley eyes at any age? 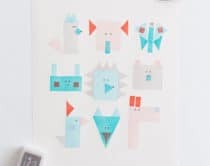 Our kids had a blast creating these quirky monsters with foam strips and stickers. 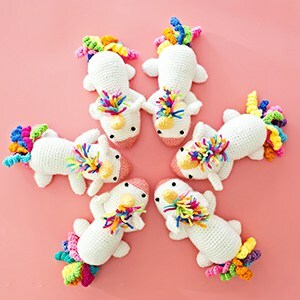 Each one with their own unique personalities. 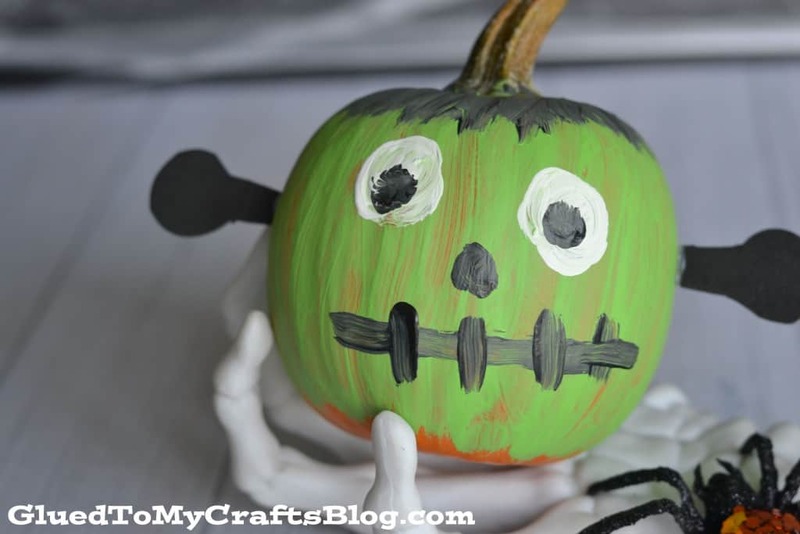 Encourage kids to personify their favorite spooky Halloween characters on pumpkins – like this adorable Frankenstein. 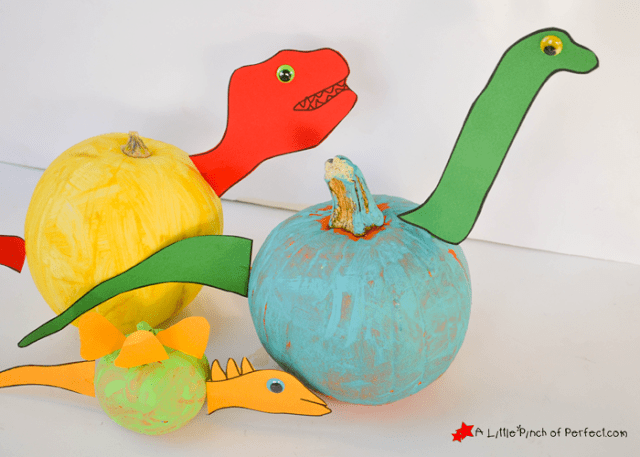 These ‘ferociously cute’ dino pumpkins come with a free template so all the kids have to do is pain them their favorite colors. 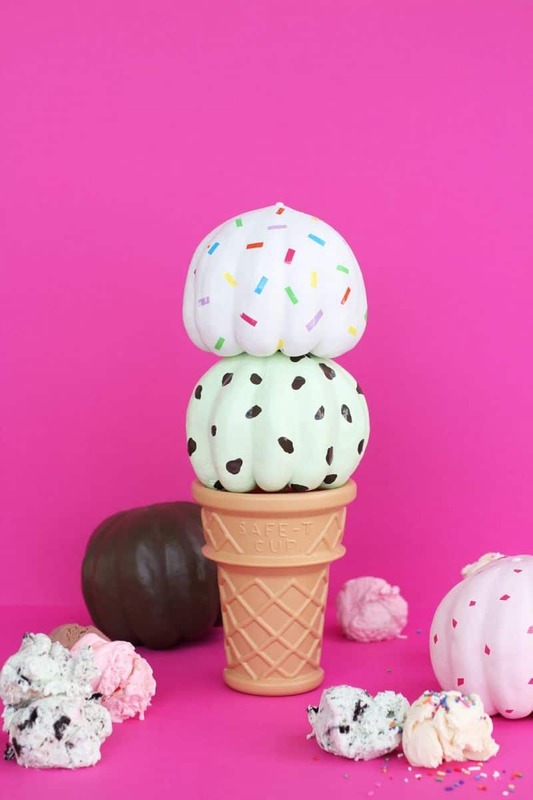 These sweet ice cream pumpkins may be the cutest ones we’ve ever seen. 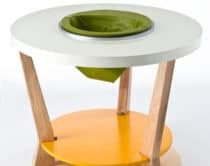 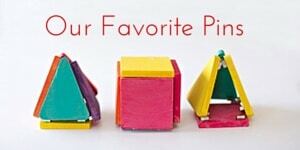 So fun for setting up a pretend play ice cream station! 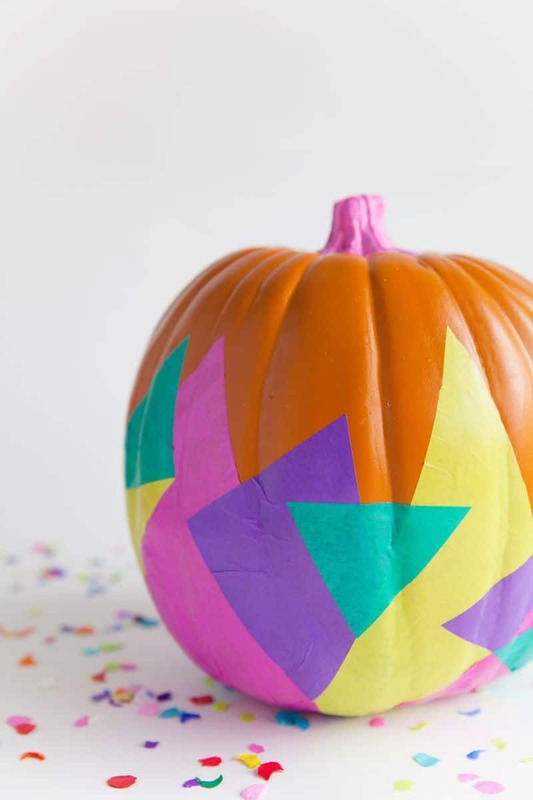 Create cool geometric patterns with this dazzling and colorful tissue paper pumpkin idea. 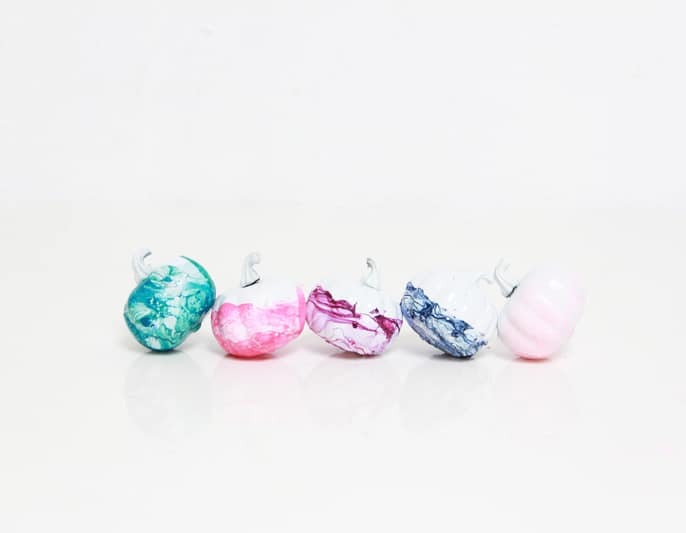 Here’s another creative tissue paper idea to make scallop shaped pumpkins – wouldn’t these be fun in all sorts of colors? 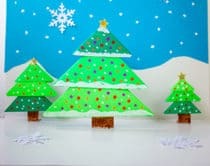 Give kids some paint pens and let them create all sorts of cool designs. 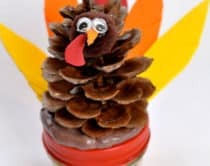 Love this open-ended pumpkin doodling project. 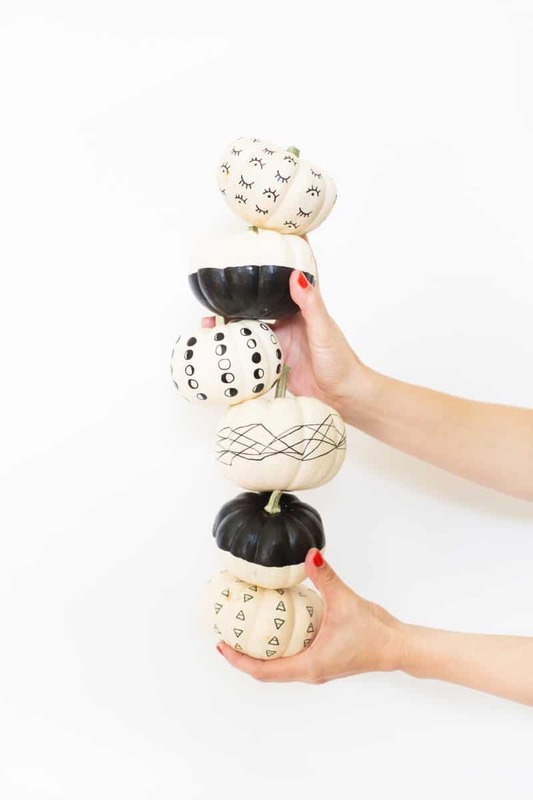 What are some of your favorite ways to decorate pumpkins? 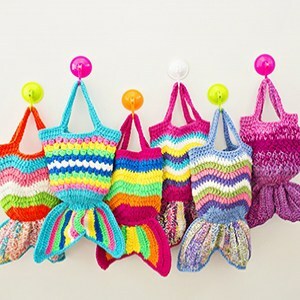 Check out more creative Halloween ideas!